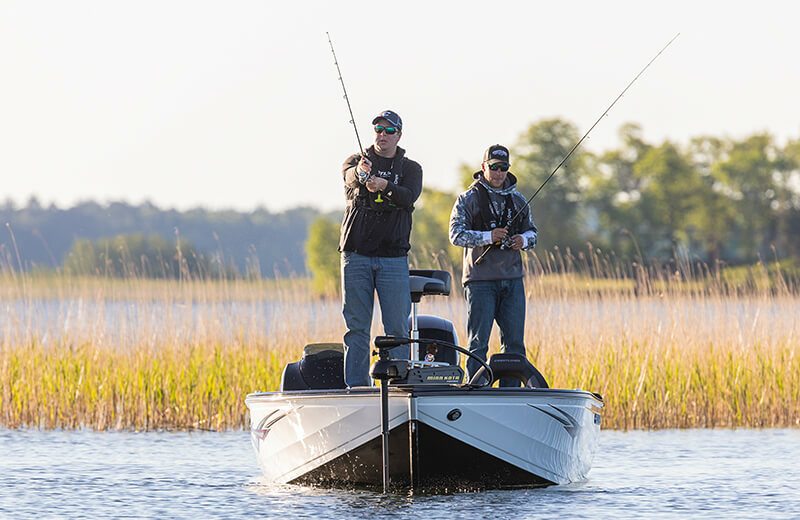 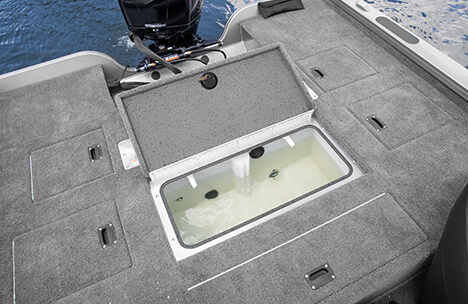 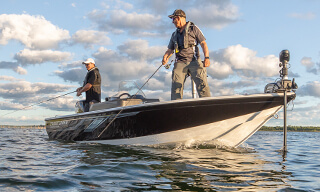 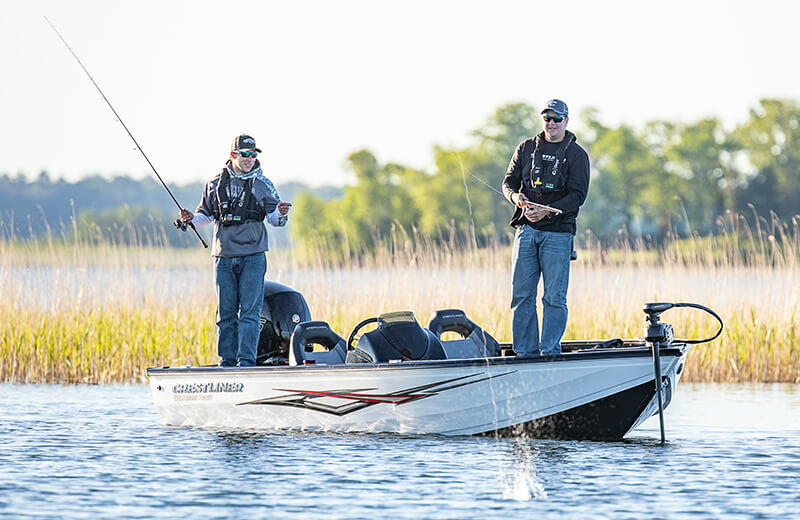 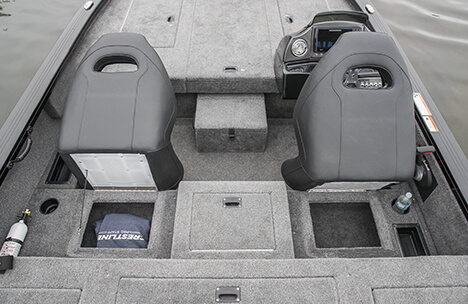 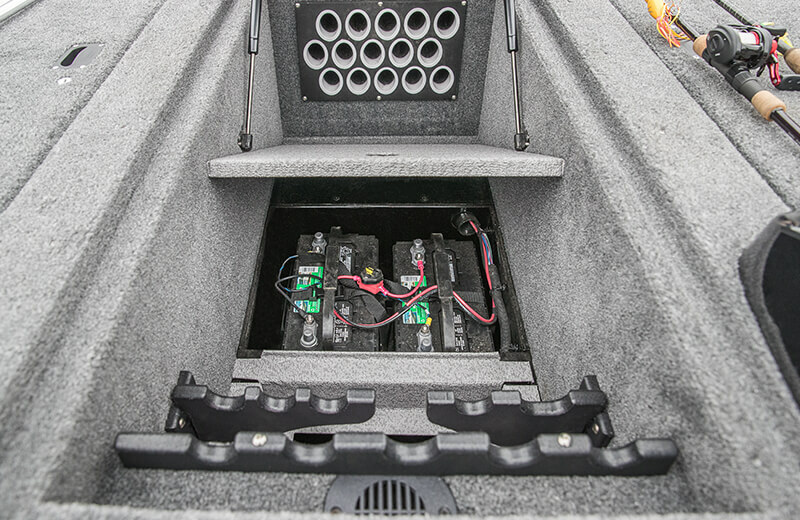 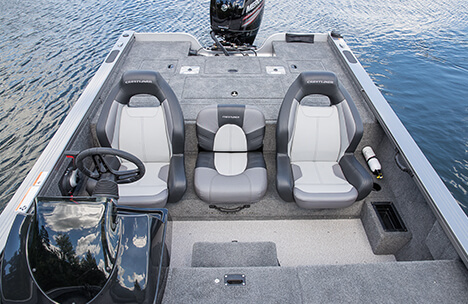 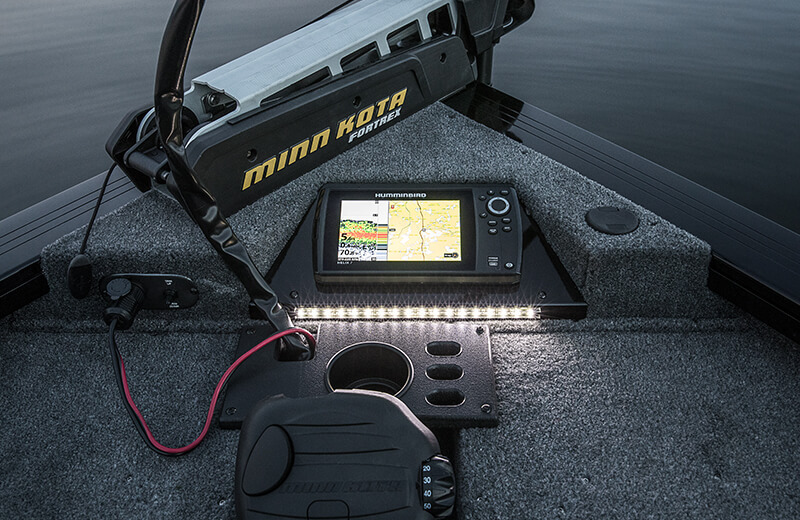 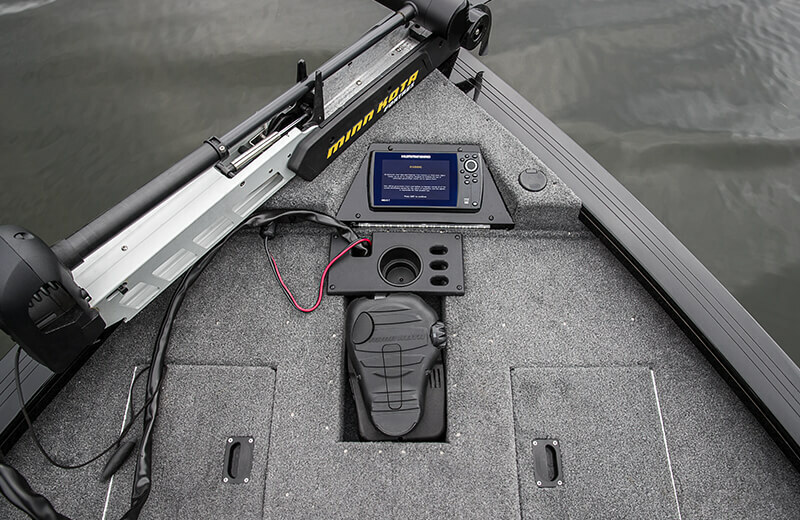 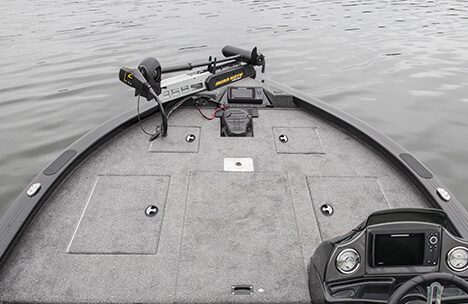 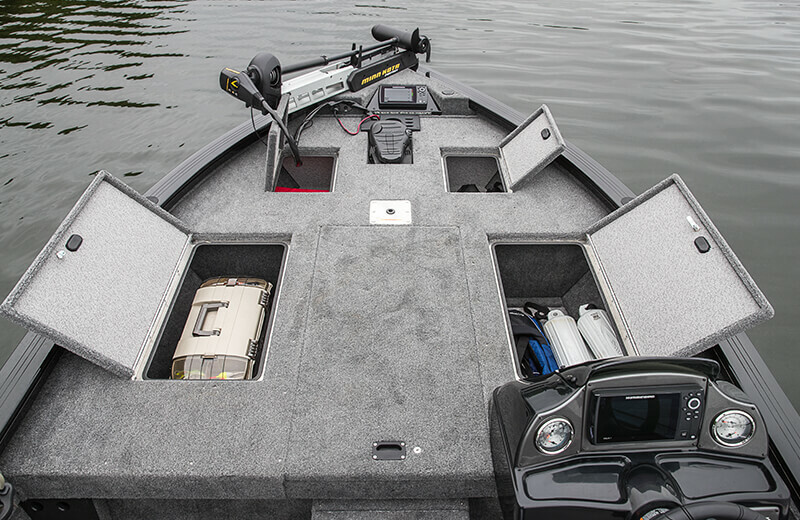 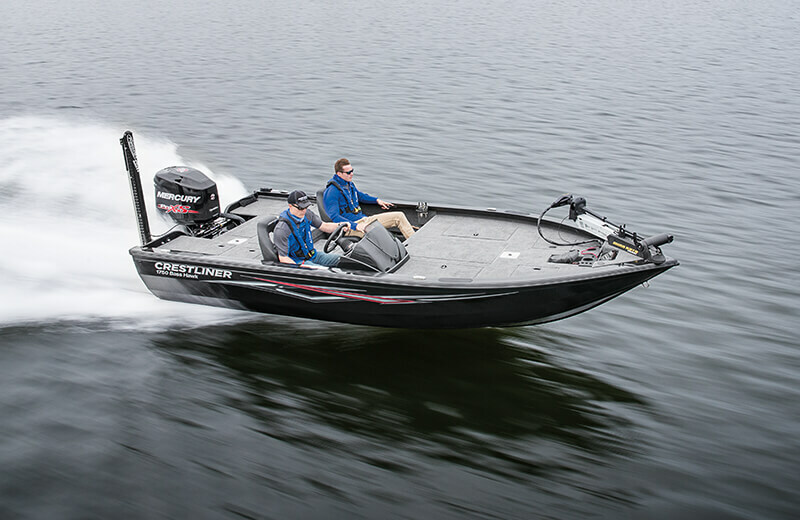 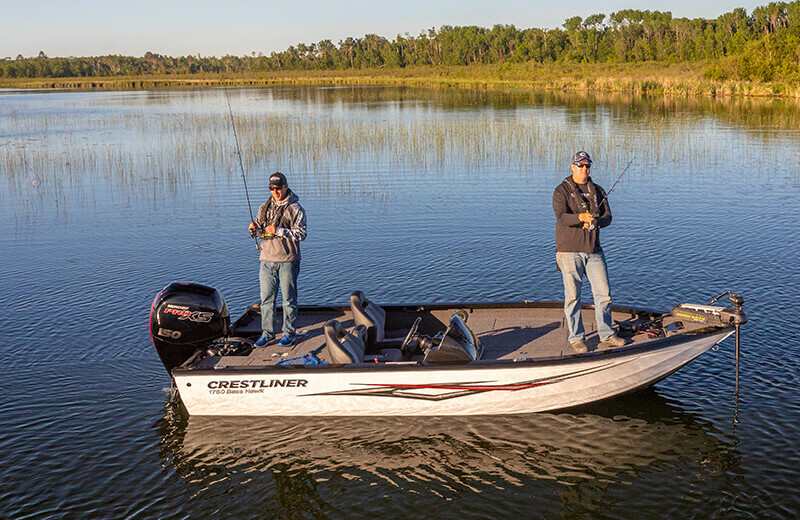 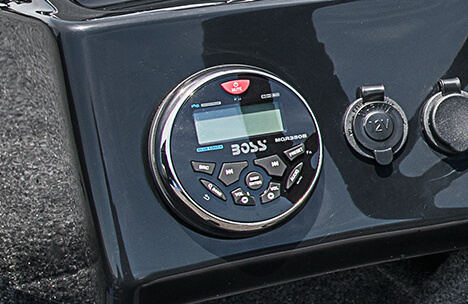 Whether you’re angling walleye, muskie, or bass, this multispecies deep-v hull fishing boat can take you where you want to go. 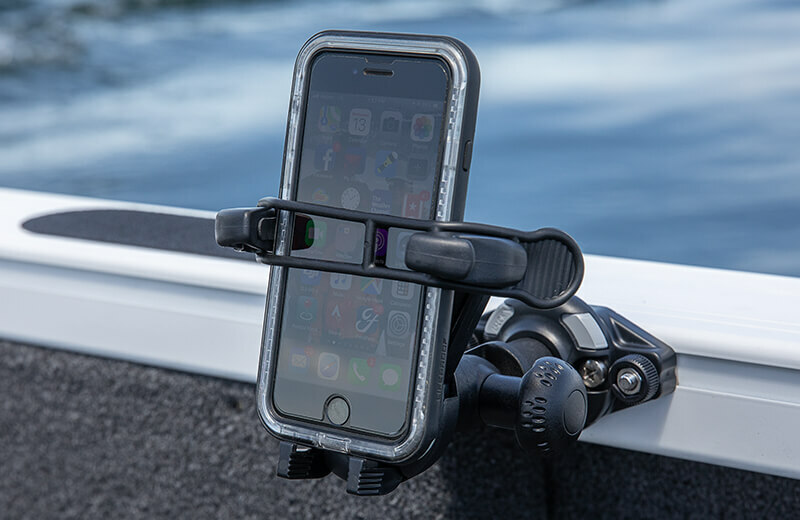 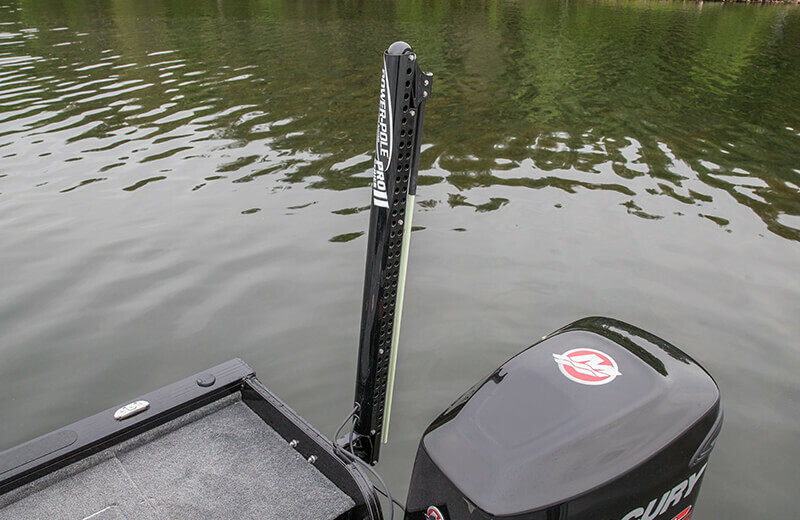 You can easily navigate from the dock, to the main lake basin, and then over to your favorite shallow water fishing hole. 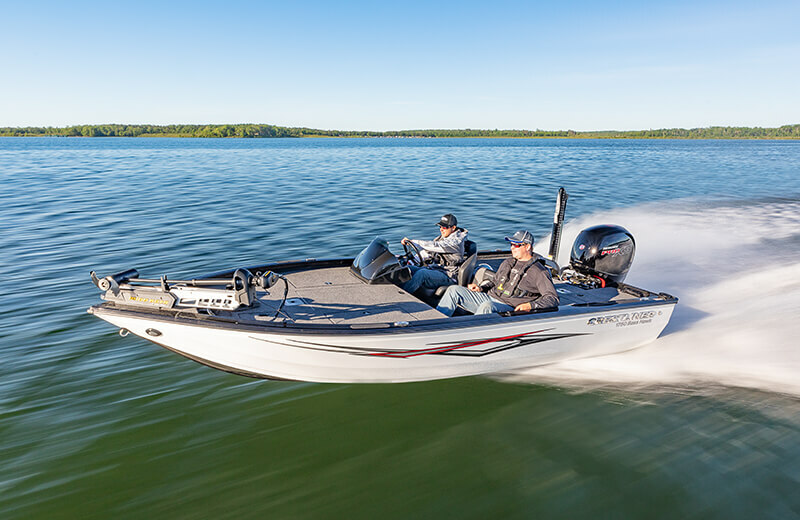 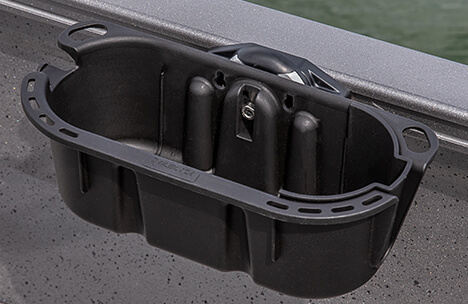 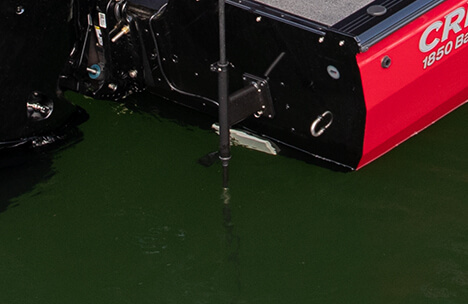 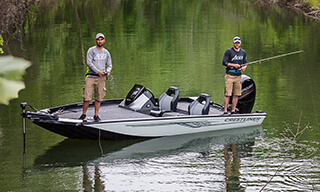 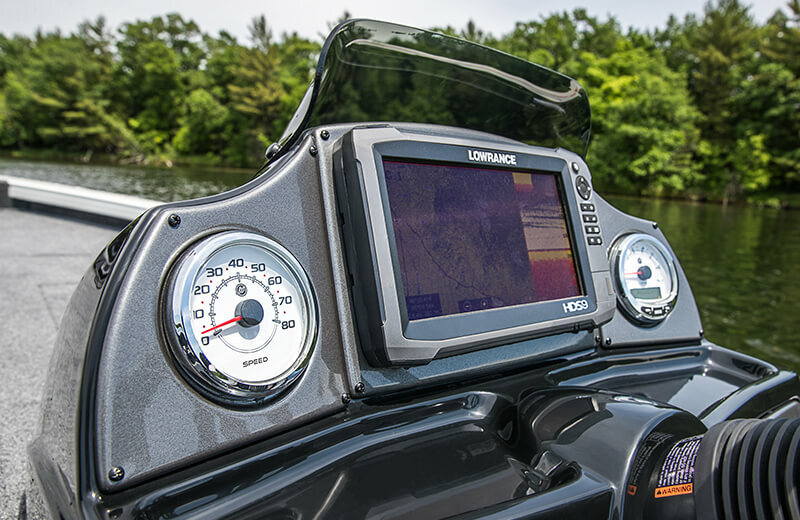 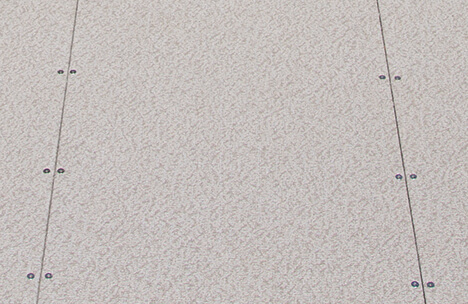 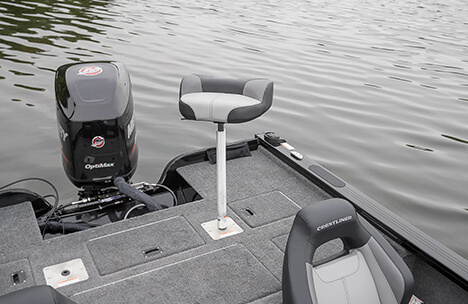 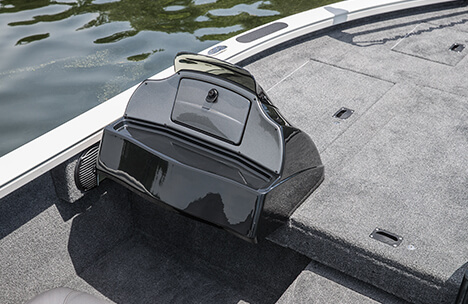 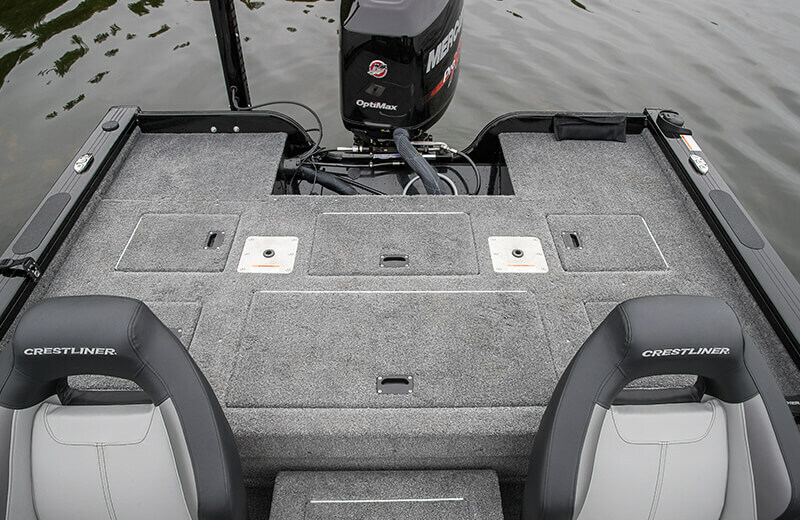 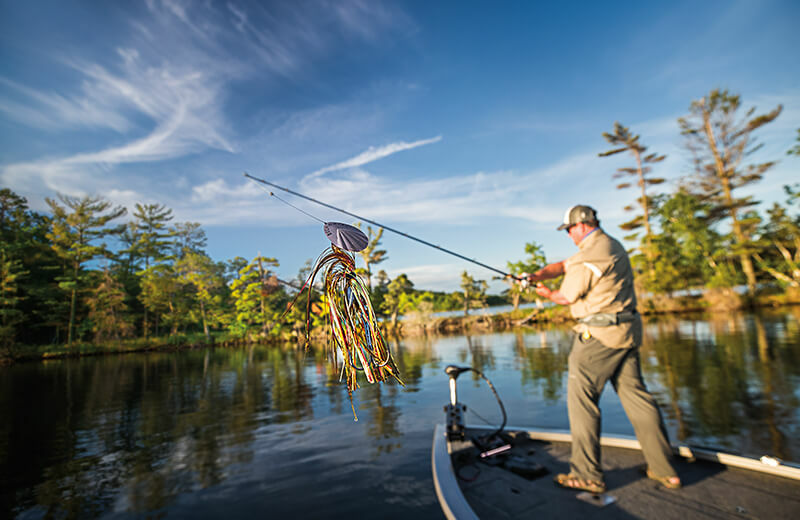 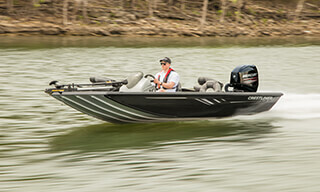 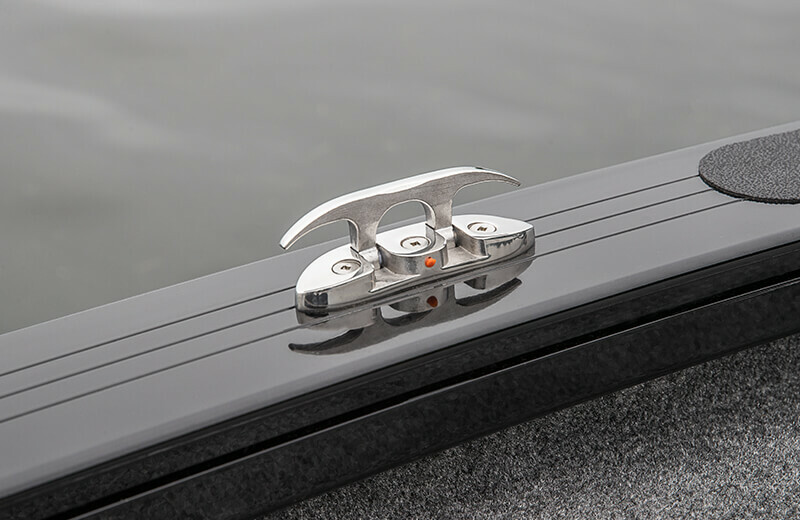 The all-welded wide beam hull adds extra stability and the variable degree deadrise allows you to make tighter turns and still feel in control. 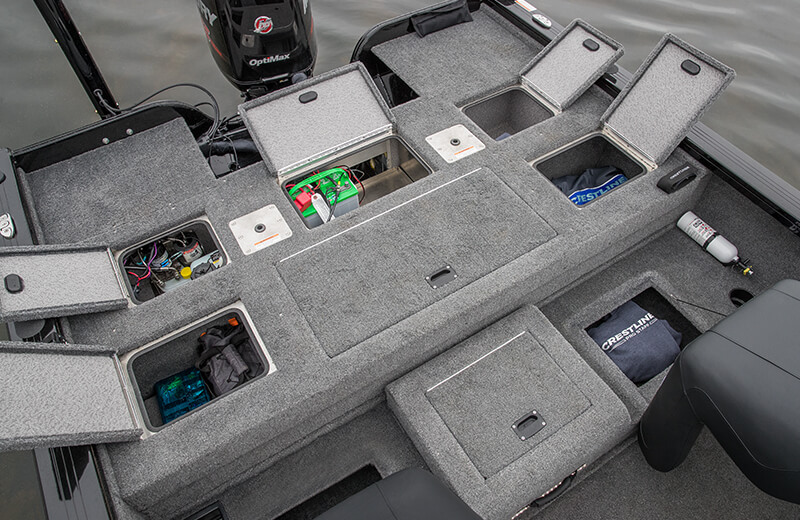 In addition to massive casting decks at the bow and stern, the amount of accessible storage is incredible. 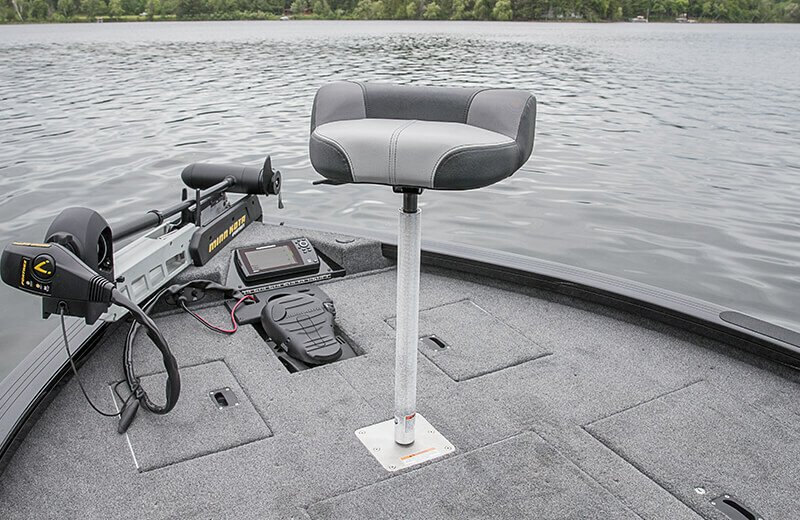 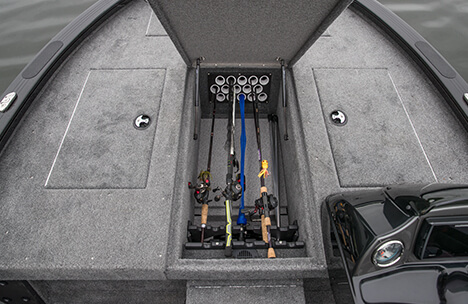 The 1750 Bass Hawk comes standard with a large 28-gallon livewell and an illuminated center rod locker that can hold up to 15 rods up to 8’. 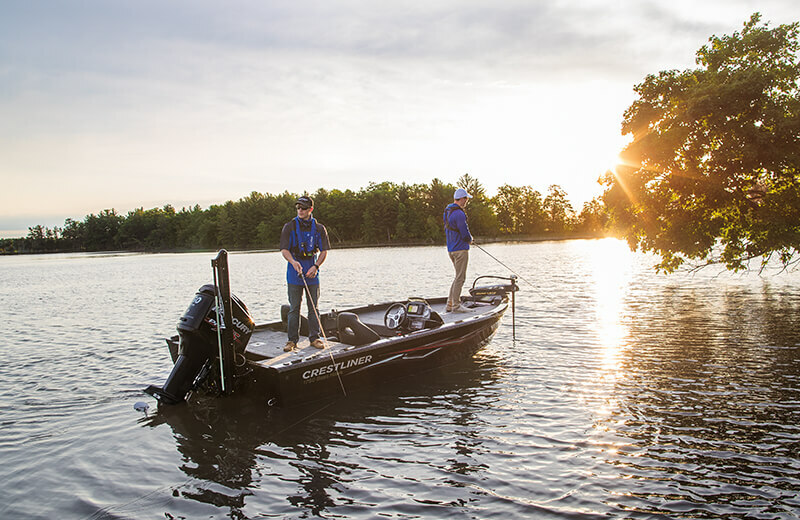 At the end of the day, it all adds up to a zero-compromise, multispecies-catching machine. 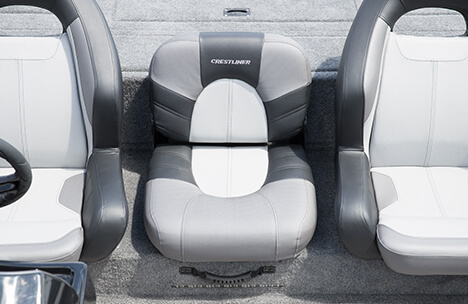 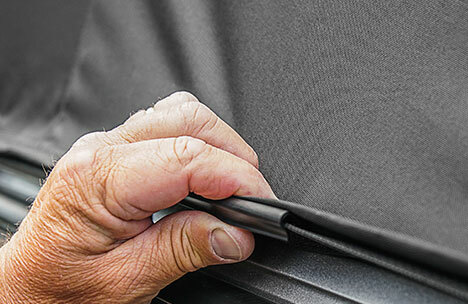 Premium helm and passenger bucket seats are as comfortable a seat as it gets. 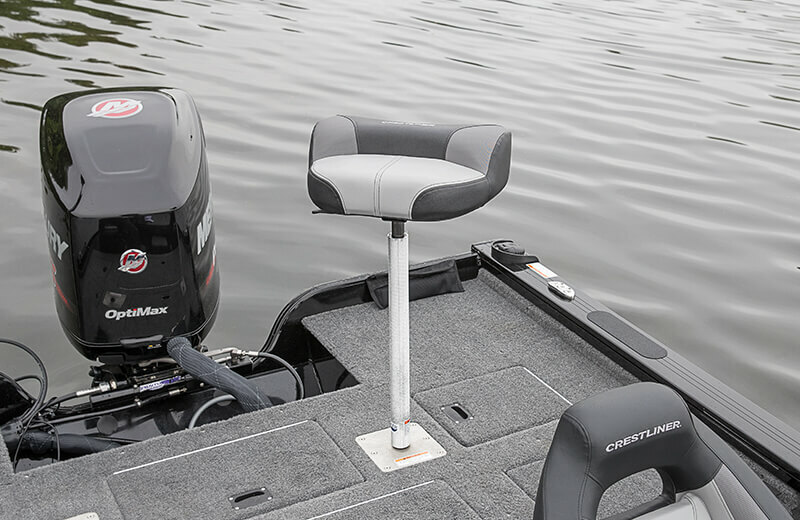 Shown with optional center seat. 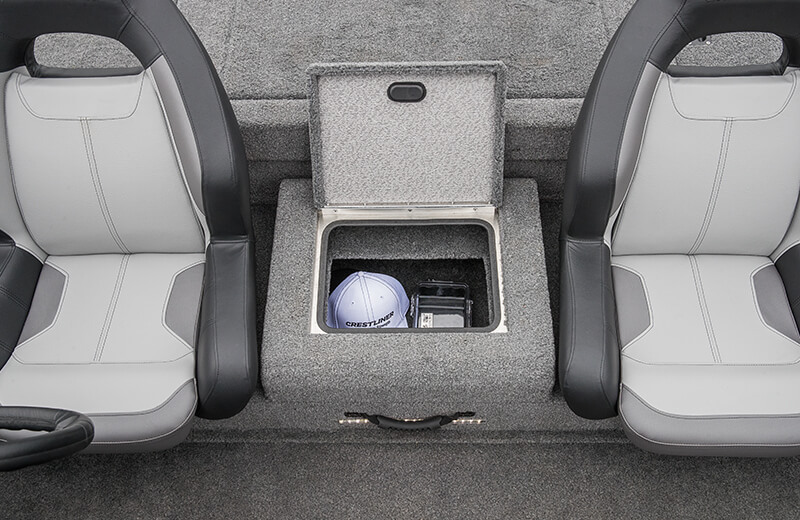 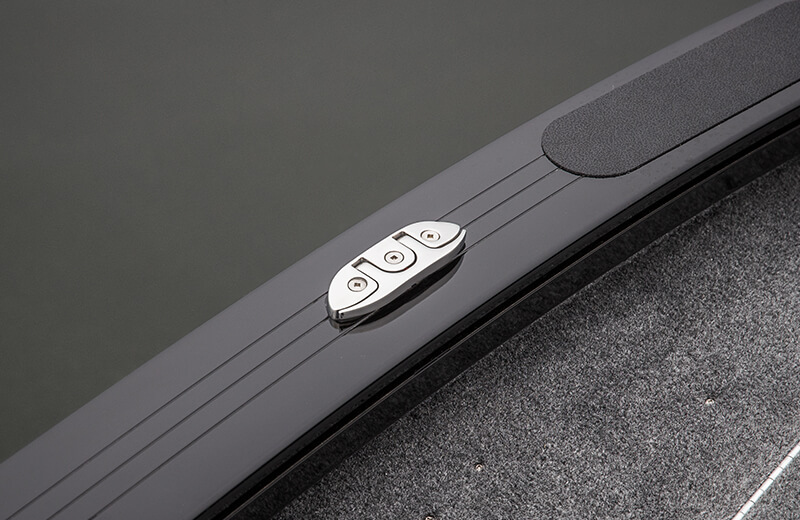 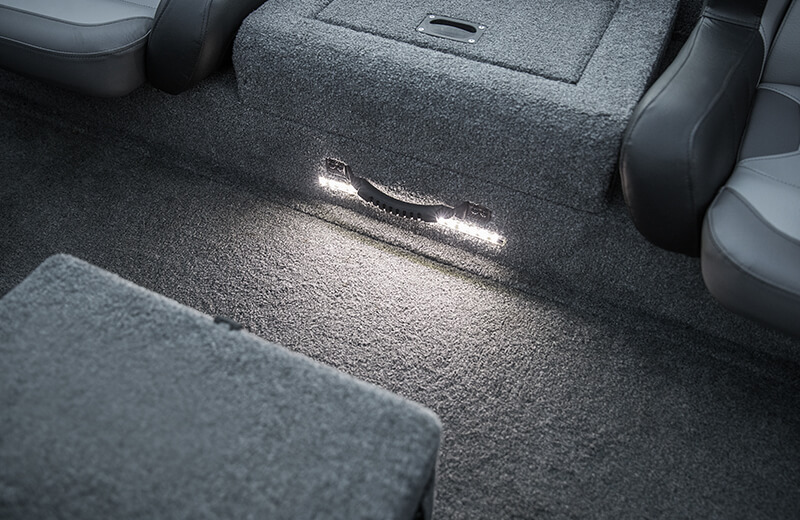 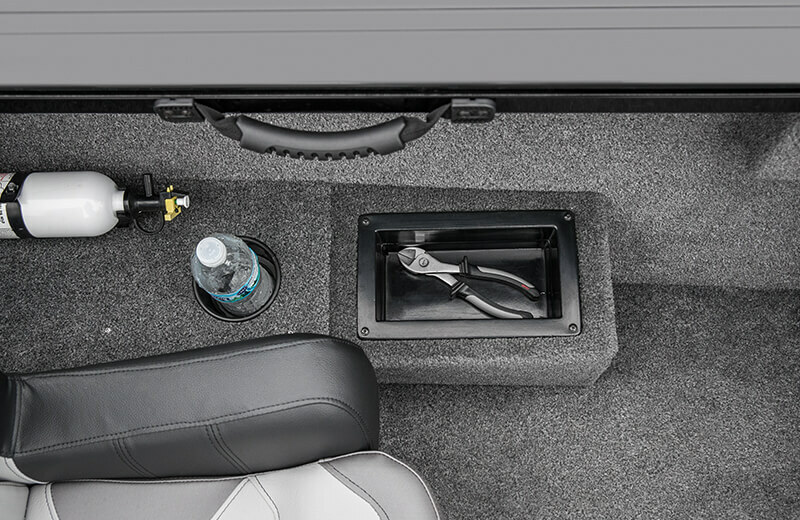 Under the Helm and Passenger Seat is storage to stow gear and keep items secure. 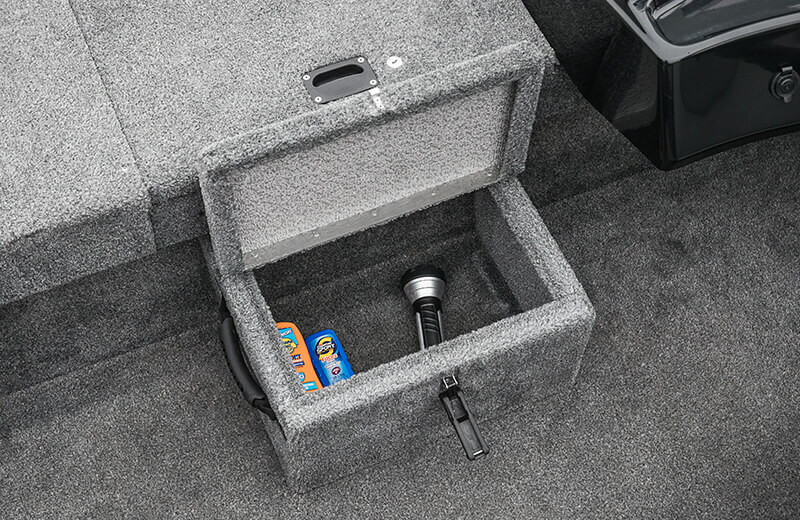 The portside console a locking glovebox for safekeeping.